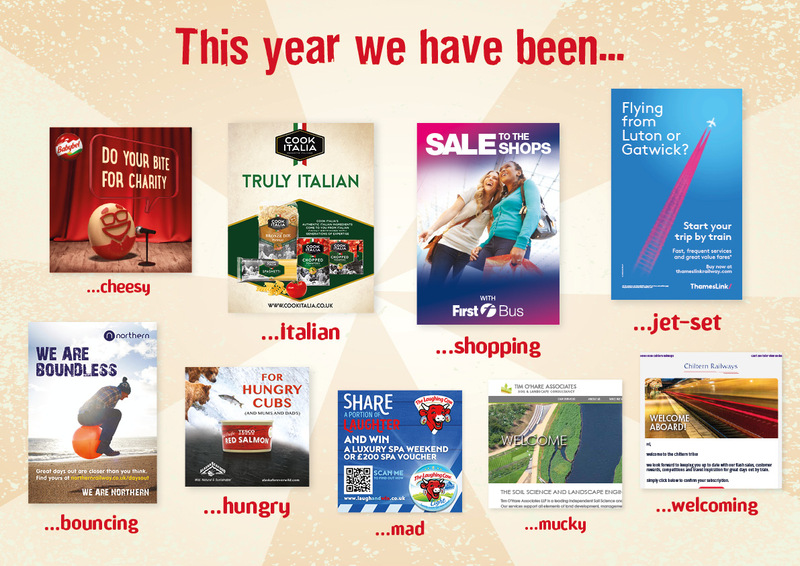 It’s been a busy old year creating projects for all of our fabulous Clients. We’ve been putting bums on seats, selling stuff, educating, engaging, emailing, socialising and generally getting creative on behalf of train and bus companies, FMCG brands, service sector B2B and healthcare. But it’s not just about work – we have made some changes at Guerilla towers – welcoming new staff on board, moving our shopper marketing team in-house and giving the office a face-lift. And on a personal note it has also been an eventful year. Gus continues to go the distance, completing the Windermere marathon, Hayley went the extra mile (well 27 miles to be exact) on a charity hike for a local Hospice and Ian went on a lot of courses, well played a lot of golf, eventually winning a tour of the Algarve. Steve is going to be a Dad, Sam became a Dad, Tim moved to Ealing, Matthew helped develop things across the channel, Andy continued to spin his decks and we welcomed two new faces to the design team. Charlie loves the local wildlife, especially tickling salmon and Holly is moving soon to be closer to the office. So lets hope 2018 is just as rewarding. Don’t forget to pick up the phone and give as a call if you need any Guerilla creative added to your marketing plans.